Why Buy MS Office 2010 Pro? Microsoft once again establishes its position as a leader in making powerful and useful software for its users’ productivity and project organizing needs. 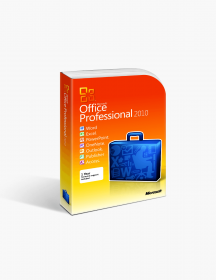 This updated version of the well-known Microsoft Office suite showcases that the company never ceases to improve the user’s experience by creating outstanding applications with hardly any competition on the market. As expected, there are improvements galore in the 2010 pack of the office suite. 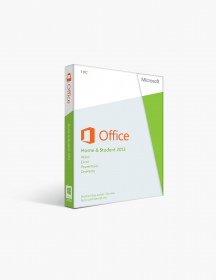 You will get way more than your money’s worth and then some as this edition enables you to effortlessly manage your work and save precious time with Microsoft Office’s intuitive user-friendly interface that is easy to use and even customizable! Even more options with Word 2010 - Microsoft Word has always allowed users to create more than just plain text documents. Now there are even more fonts, effects, graphics and ready-to-use templates to choose from to make your project unique and impressive. Another great time-saving trick is that you can take screenshots without leaving Word - it allows you to do it from inside the app! You also get real-time spell check across all apps so you can type with confidence. Be a professional with Publisher 2010 - You can create professional-looking marketing materials all by yourself with the Publisher 2010 app. As always, you get an easy-to-use interface with powerful design tools to help you create remarkable materials with little effort. Plus, the improved photo-editing tools give you even more options and freedom to create just the way you like it. You also get a library full of versatile templates to create emails, brochures, postcards and many more. What’s more, you can preview all the formatting changes without actually applying them, which saves you time, and makes it easier and quicker to find the option that best suits your needs. Manage data easily with Access 2010 - Microsoft Access 2010 is a simple but powerful tool for gathering, managing and analyzing data. With a ton of options included in the app, you will find that Access 2010 is a professional tool perfect for your business needs. Some of the tools that users praise the most are the Conditional Formatting tools which help you create data charts with the precision of a professional. You can pick from a variety of built-in templates that allow you to customize your project according to your requirements. Create without limits with PowerPoint 2010 - No matter if you need to make a simple-looking but information-heavy presentation or to design an intriguing slideshow with various animations and effects, video and audio - PowerPoint 2010 is the perfect tool for you. It has it all in one place - text editing tools, libraries packed full of impressive animations, effects, graphics and everything you need to create the perfect project for your needs. You will find new photo- and video- editing tools, which make the editing process easier, since you have all the tools you need in just one app. Note taking on a whole new level with OneNote 2010 - OneNote 2010 is not just a note taking app - it enables you to be more productive, to collaborate with partners, to easily put down ideas for a final product that contains all the information needed, be it in the form of text, pictures, links. You also have the option to embed spreadsheets, diagrams and multimedia files in your file. Productivity made easy with Outlook 2010 - Outlook 2010 is not just a simple but powerful email service. It allows you to be the most productive you could be by putting anything you could possibly need in just one app. You get the perfect calendar tool to keep track of your tasks, meetings and deadlines and to set reminders so you’re always on time. You can sync multiple email accounts for easy access, share your calendar with others to avoid unnecessary complications and customize the Ribbon so you can have the functions you use the most within just a single click. Work faster with Excel 2010 - You can now process and visualize the data of your spreadsheets faster and easier than ever with this improved version of Excel. With the Sparklines feature you can get a visual summary of your data analysis and the Slicer feature enables you to filter data in a PivotTable or PivotChart, displaying the most significant details so you never miss anything. Furthermore, the PivotTable views make it easier for you to find the right data quickly through the new filter enhancement. 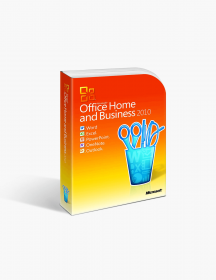 Not the right MS Office 2010 product you were looking for? 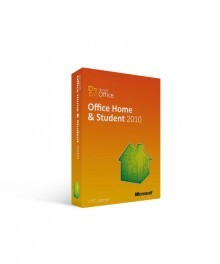 Check out our selection of additional Microsoft Office 2010 software today. What Do You Receive With The Software? Flexibility - The Professional pack ensures flexibility as the apps allow you to directly upload your files online so they can easily be accessed. This means no more unnecessary steps when you want to share your work with a partner. You can directly save a file to your OneDrive and edit it with the web versions of Word, PowerPoint, Excel or OneNote. You can do that not only on your desktop computer, but on your phone too! Teamwork - Word, PowerPoint and OneNote include the function of co-authoring, which means you and your study partner or your business partner can work on a document simultaneously. This is an irreplaceable time-saving function when it comes to team projects because it allows for more productivity with less effort. Just upload the file to your OneDrive and start collaborating and sharing ideas with your partners! Easy editing - The Ribbon interface that we know from the 2007 version of the office suite has clearer design and is now available in all Office apps. It offers easier access to menus and all basic editing tools and you won’t encounter any problems finding a particular tool thanks to its intuitive, easy to use design. Another exciting new feature is the customizability of the Ribbon - you can create a custom set of tools that only pop up when you need it. Better file management - Microsoft Office 2010 introduces a new feature - the Backstage section which comes to take the place of the File menu. At first it may seem like just another unnecessary design feature, but you will soon recognize the many benefits and new useful functions of this new addition. Besides the usual actions as saving a file, opening a new file or printing, there is a plethora of new ones added to improve the user’s experience. You can send documents, inspect them for personal information or hidden metadata, as well as set options and create custom ribbons. This was a company emergency. Softwarekeep's software selection and excellent Customer Service combined to bale us out of a tight spot. My CS person (JD), provided service that exceeded my expectations. Thank you and The Good Lord willing, we will do more business in the future. Difficulty downloading - spent way too much time attempting to do so. Suggest that you might indicate that if you have problems downloading to try a different browser. Once I spoke with a customer service rep - switching to a different browser enabled me to download without any problem. The product is authentic, cost effective and the company has great customer tech support. This was my first time purchasing software from SoftwareKeep. Turnaround time was quick & the install went off without any problems. Other sites were less expensive for the same product but reviews were not as encouraging. I'll consider this site for any future purchases. Prompt response, helped me get up and running. $108.99 | In Stock Want it Now? Order and receive your download instantly.